"Push through past your hip" is just one of the conventional swimming wisdom myths that Karlyn Pipes busts in this interview. Swim coach, motivational speaker, conducts swim clinics. 200+ masters world records in swimming. Inducted into the International Swimming Hall of Fame in 2015. She has been teaching swimming techniques since she was 16 years old. As good as she is at swimming, teaching is where Karlyn thinks her true gifts lie. Karlyn’s real goal is not to teach swim techniques but for people to learn to love the water. ​Swimming is a lifetime sport, so you don’t have to get it right away. Karlyn's mother is still swimming at 82 years old, 1500m freestyle in around 30 minutes. How did you start swimming and what was your early career like? I loved how warm and accepting the water was. I loved the praise and approval of the instructors. Swimming took care of a lot of the emptiness inside me that I had from growing up in a turbulent home, and with my father being an alcoholic. At 15, I won the 400 IM (individual medley) junior national championships. I also started drinking at this age and this derailed my swimming career. I was considered an Olympic hopeful, but never got to realise this dream. I returned to swimming at the age of 31, when my addiction had taken over. Swimming has healed me from this addiction. I feel love and acceptance when I get into the water. You never know who or what you are going to run into when you swim in Kona. The Do-Over is about all the missed opportunities I had, and how I was able to get it all back, including my recovery from alcohol addiction. Within six months of breaking my addiction, at age 31, I was breaking masters world records, and within a year I was swimming personal lifetime bests. I have been sober for 23 years now since my return to swimming. You should seek progress, not perfection. Celebrate progress and quit seeking perfection which is just your end goal. Triathletes almost always have something that influence their swimming, although they may not be coached by anybody, and usually they are stuck with that influence. What swimming looks like and what people are actually doing are often two very different things. You need a coach who actually gets into the water practicing and test these methods out by actually racing with them. Nothing is really useful unless it actually works. Olympians are not special people, they are hardworking and they have talent but the common things that make them go are all the same. 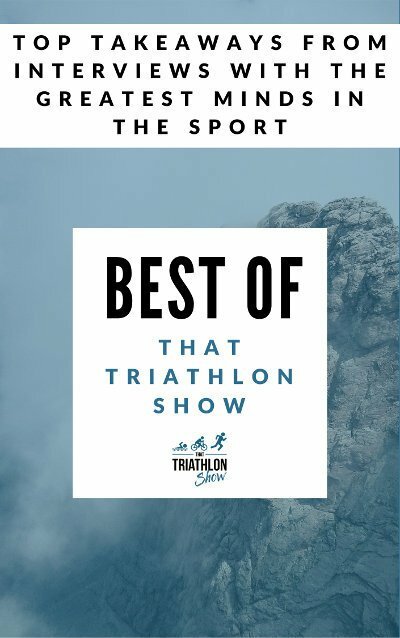 "There are a lot of leftover old techniques, that are still being employed by well-meaning coaches, that are leading triathletes on the wrong path." In swimming, pushing through at the back of the stroke is your hardest gear. There's power there, but it's not optimal use of your available power. The push at the back of stroke comes from the old S-pull, because your hand slid out in a sliding motion, in which you couldn’t apply as much power. In the next phase, in the in-sweep, you could not apply power either and your power defaults to the back of the stroke in a triceps extension which pushes the water back and actually buries you. With the early vertical forearm or high-elbow catch, you set up the power much sooner and exit the water a lot easier. Think of it like increasing cadence in a lighter gear on the bike. Most elite swimmers have a glide in the front of the stroke, and you should too. Move the stroke forward as opposed to the middle and the back. It is in the front third of the stroke you should apply the most power. Apply a pull without having to do a push. Don’t push your stroke all the way past your hip. Is there a difference between open water and pool swimming? When you look at Olympic swimmers, you only see a few minutes during the race but they actually train 4 to 5 hours per day, so it's definitely an endurance sport. The first thing you need to have is balance, keep your balance. If you can’t establish good balance, you can’t apply power. If you are rolling like a log or finishing your stroke all the way through, you are constantly losing your balance. Going wider with your hand-entry and stroke helps you achieve the above points. What do you mean by going wider? When reaching out in a stroke, instead of coming in over your head, you reach out slightly wider than your shoulder.​ Your hand will then track in from there. Think of it like when you are in a canoe, you reach the paddle out, keep the blade flat, connect with the water then relax and release the paddle. The paddle would flow right along as close to the boat as possible, not under or outside the boat. Your lead arm should take a glide just like the outrigger on a Hawaiian canoe. It is easier for the average swimmer to setup the high elbow catch from a slightly wider than shoulder-width hand entry. Olympians with great flexibility can go narrower. One of the best ways to set up the spacing of the hand entry is to do head up water polo or rescue swimming with your head up out of the water. Anytime you sweep your hand under your body, that is either to take the pressure off your shoulder or to counter-balance something else that you have done with your other arm. It is like a dance and you have to stop dancing and move forward. You have to move forward and spend the least amount of energy to get there. The head up water polo drill is great to get your hand entry in the right spot. Watch your swimming stroke with your own eyes. You can go swim in a kiddie pool that is half a meter deep and go swim around and try not to touch the bottom, you enter high enough and don’t roll too much. The power phase is extremely brief. Like golf, you hit the ball with a lot of force but you have to let it go quickly. For example in running, fast runners have quick snappy feet. Good swimmers have quick snappy arms. Get your power, get out and don’t get stuck. In swimming, it is just a power tap, not a push or a big thing. Enter with a slightly wider than shoulder-width hand entry. Take a glide. That is, you’re off before you are on. You get a brief rest at this point. Over the coral reef catch, apply a brief pulse or tap of power and then relax and release and let the hand sweep out to the side with very little effort. It is still going to look like a normal pull, but it is going to feel like half of a traditional pull. When it comes to arm recovery, anything goes. It just needs to be easy, relaxed and light. 95 percent of the Olympians in Rio were either swimming with a swinging arm recovery or a straight arm recovery. Regarding the kick, once you get your balance, your legs will come in line and they will not have to work very hard anymore. Right now, with all the rolling you are doing in the front of your stroke, your legs are in survival mode and your legs are kicking like crazy. Your legs are the largest muscle group in your body and it is sucking all your air into your legs. Once you get balanced in the front, your legs will be relieved of their duty and you will have more oxygen to use for your upper body. You simply have to keep your toes together and tap them, you don’t have to kick hard. See Karlyn's freestyle in action! ​Now that we know all these techniques, how do we practice to correct these things? I have tried everything in there, these are all tested theories in an objective environment. Use your own eyes to see what your hands are doing each stroke. Have someone videotape you, swim toward the camera and swim away. It can be all above the water footage. Observe how much movement and wiggling you do as you swim away. Do a surfboard body balance drill which is to lay on the water, hands stretched out like you are going to do a pull-up and try to float and relax, get your body on the water. You know when you are headed in the right direction with swimming because the better you get, the less you feel. It is just like riding a bike with a tailwind, it is easy and you are not creating a lot of drag. Effortless swimming actually does feel like less. Most people love the feeling of water moving and don’t realize that they are speeding up or slowing down which is not good. Winter time is a good time to be working out in the pool and not focus on going fast. From a triathlete’s perspective, learn to go slow and use it for recovery, technique and changing the speed.​ It's difficult to swim slow with the right technique, so it's good practice. On the other end of the spectrum, work on going really fast, like 25 m repeats on every 2 minutes as fast as you can go. Swim really slow and then swim really fast, quit working so much in the middle. What is your favorite piece of gear or equipment? Alpha Fins by AquaSphere. What good swim workout can the listeners do tomorrow on their workout? -Warm up on a 3 to 4 effort level on a scale of 10, for at least 15 minutes. #1 is very slow speed. #2 is slow on the way down and fast on the way back. #3 is all fast, as fast as you can go. Really change the gears! Give yourself 20 to 30 seconds rest period in between. You should see a 3 to 4 seconds drop in time per 50. -Repeat this 3 or 4 times and get your times. Tri Swim Coach interview with Karlyn: "Overcoming Addiction & Becoming a World Champion with Karlyn Pipes"